Update: This event has been moved from Saturday, February 23rd to Saturday, March 9th. Family recipes for babka and paska are an integral part of the Ukrainian Easter celebration. Paska is a large, rich, slightly sweet eggy bread with beautiful braids and symbolic designs on top. Babka is a tall, cylindrical sweet bread often studded with dried fruits. Join us for a paska cooking experience and try your hand at making this delicious classic dish. Learn with Chef Hillary, trained at two prestigious cooking schools – Johnson & Wales and Le Cordon Bleu. You’ll practice your paska decorating skills and make a small paska to bake at home. 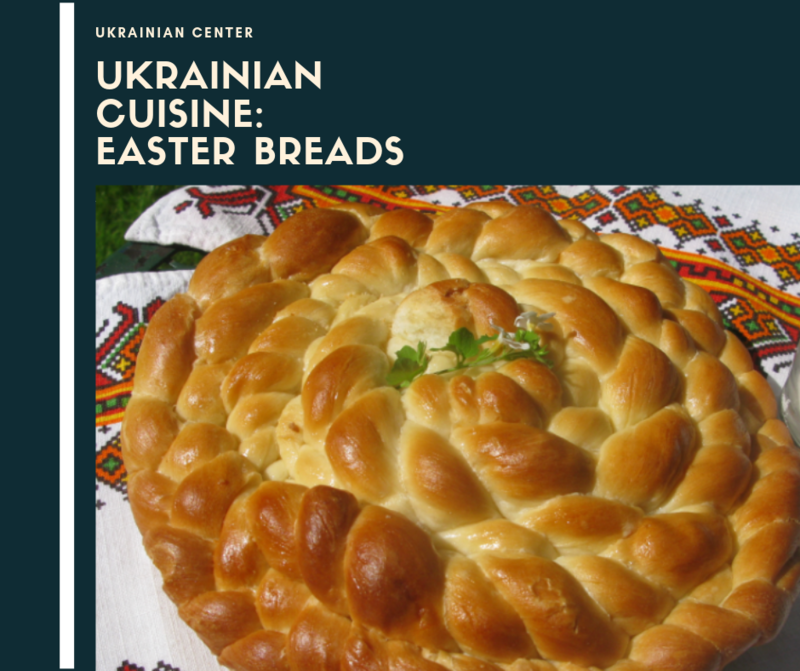 We’ll also discuss Easter traditions and ideas to add Ukrainian traditions to your Easter table.